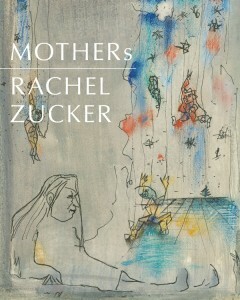 The poet Rachel Zucker begins her memoir, MOTHERs, with a story she once told her mother as a child, and which her mother wrote down: “Once upon a time there was a girl and she sat down on a pebble to think about her mommy because she had gone a long way away” (1). The quotation gets to the heart of the book. About her mother, Zucker writes: “I remember so little but can recall in rich detail the way the outside of the door of her study felt beneath my small palm as I stood, listening, trying to decide whether to knock or whether to risk her wrath by interrupting her” (122). Zucker’s mother, the author and storyteller, Diane Wolkstein, was known around New York. She would spend hours practicing the stories she would tell each week on the radio and to scores of children in Central Park. Yet Zucker expresses ambivalence about stories: “The story of ‘what happened’ is always a lie” (18). Zucker’s portrait of Greenwich Village is both romantic and macabre, with the ghosts of great writers floating through her back garden. On matters of the present, Zucker turns inward. For the poet or artist or writer obsessed with process—and let’s face it, most of us are—this is a book worth carrying around because Zucker peels back the page to show us the realities of being a woman and a poet and a mother. She names (almost) everyone as she writes candidly about mentors and teachers and friends. Jorie Graham cancels appointments at Iowa. David Trinidad talks about clothes. Zucker admits to feeling occasionally ridiculous at readings. She risks telling the trivia to capture the truth. Vast expanses of blank pages separate each chapter. I used some of the space to write. Other times, I skipped to middle chapters, going back to re-read later. In the book’s final chapters the narrative voice snaps into new clarity as Zucker grapples with some of the most difficult moments of her life, not to mention the possibility that she is not so different from her mother: “The sound of her typewriter. The ticking of my computer keys” (111). MOTHERs is a courageous and risky book, both in terms of form and content. Zucker provides new language to investigate the challenges a woman artist must face down: the starts, the disappointments, and ultimately, the labors she must complete, with and without the support of her many mothers.